Scoliosis is a sideways curve of the spine that makes an "S" or "C" shape and that causes back pain and stiffness. It is currently classified as an idiopathic disease because it has no definitive cause. Scoliosis occurs more commonly in females and usually begins at childhood. If it is detected during early childhood, scoliosis treatment will prevent it from worsening over time, and can provide great pain relief through a variety of chiropractic techniques and procedures. Scoliosis can originate in the thoracic spine where the vertebrae can rotate causing this curve and may result in a hump in the lateral rib cage. Often times this curve makes the hips and shoulders uneven, and can cause low back pain as well as pain between the shoulder blades. 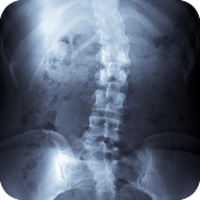 In some instances, there are degenerative diseases that occur in the spine that can cause scoliosis. Osteoporosis occurs when the bones weaken and lose density mostly in older people. This weakening of the vertebrae can cause the vertebral body to bend and create the curve causing scoliosis or kyphosis (rounded back). If left untreated, many complications from severe back pain, deformities, and breating problems are capible of forming. Chiropractic care can help improve this condition. Our chiropractor at Gallatin Valley Chiropractic looks at your your spine as well as your overall health factors affecting your lifestyle. To identify the cause of the problem, we discuss your current symptoms along with your previous injuries to allow us the proper diagnosis and best possible treatment for your specific case. Depending on the severity and progression of your scoliosis, an orthopedic brace in conjunction with chiropractic care can be used to prevent the curve from worsening, and it does not affect your functional activities. In extreme cases of scoliosis surgery may be considered, but only after the conservative treatment and continuous observation of the worsening condition. Regular visits are advised to observe and monitor the progression of the scoliosis. Scoliosis can and has been effectively treated in various non-invasive ways to help alleviate back pain and restore proper function. If you have any further questions about scoliosis, please contact us or make an appointment to get your spine checked.